Looking for a basic pullover top but wanting something that goes a little bit beyond in dependability and functionality? This ladies' v-neck tunic with Dolman sleeves and side vents matches most unisex pullover tops in good quality affordable work wear. But in addition, it also features two front patch pockets and a cell phone pocket, moving it a cut above the rest. 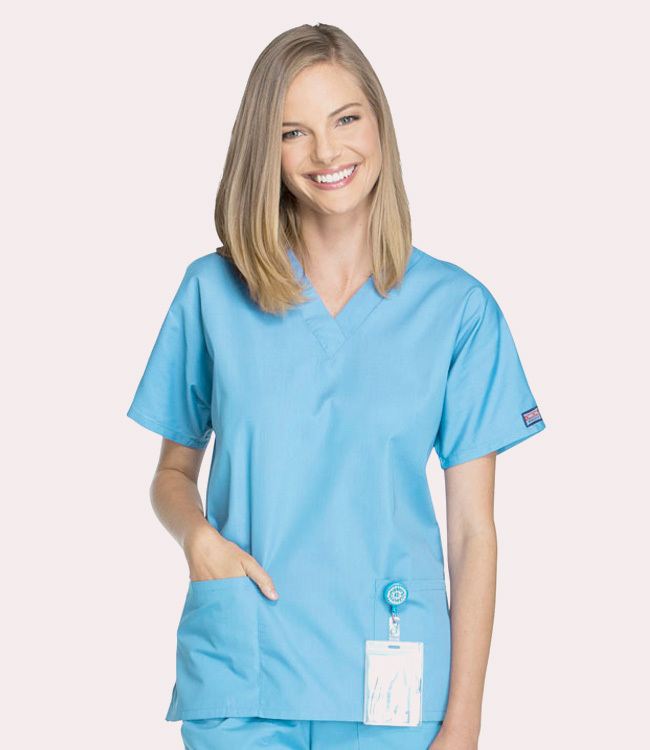 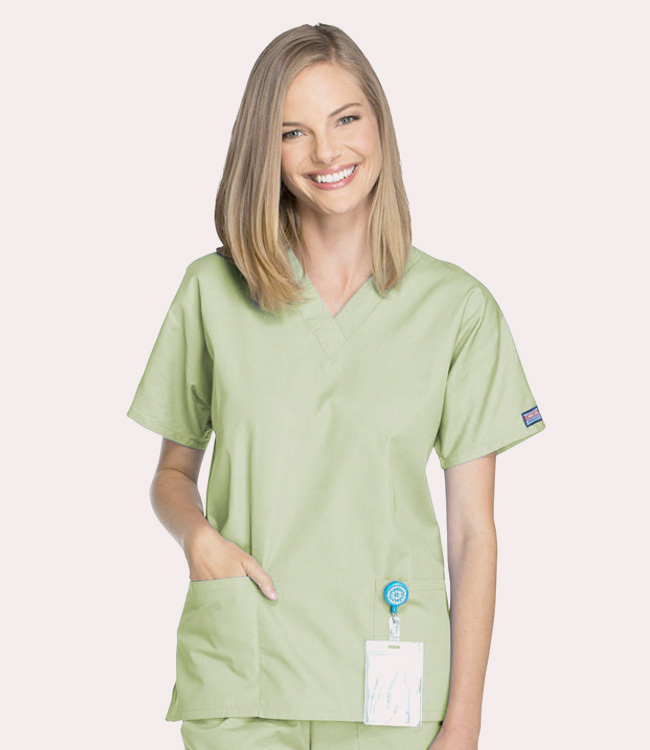 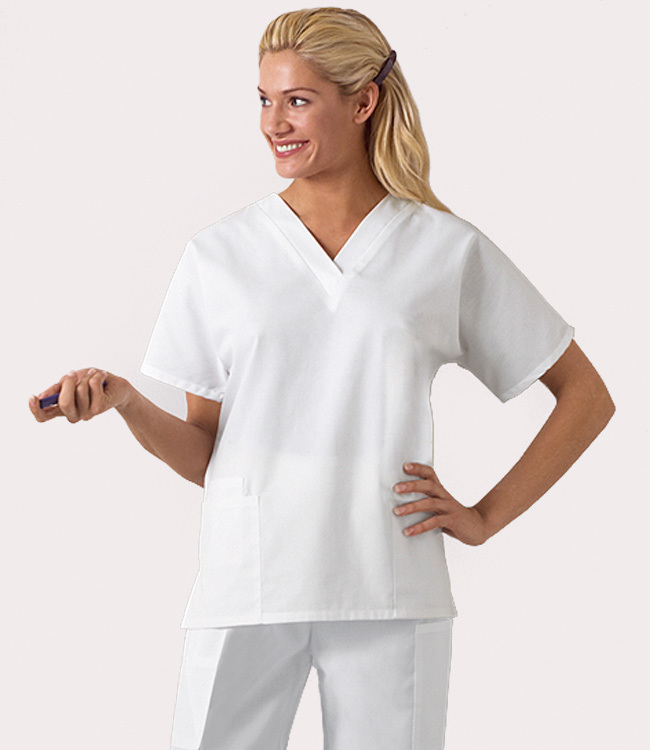 Made of durable, easy-care poly/cotton with soil release finish, this top from Cherokee Workwear does everything the company promises: it builds the quality in and leaves the bells and whistles out.